Unless you’ve been sleeping under a rock for the past twelve months, you’ll have noticed that battle royale games have exploded onto the multiplayer shooter scene. Right at the center of this dramatic takeover, Fortnite and PUBG currently dominate so absolutely that they’ve all but monopolized the scene. Rest assured, though, just as you’d expect, more battle royale games are on the way, and they’re looking to take the last-man-standing gameplay loop to new heights in unique ways. Naturally, those sorts of numbers and this interesting spin on the genre has a lot of ears pinned, so I caught up with Automaton’s CEO, James Thompson, at EGX Rezzed in London for a chat about the Mavericks upcoming beta release, the developers aspirations for the project, and the logistics of how a game of this scale is actually going to work in practice. Alex Gibson of Twinfinite: When you throw around numbers as big as 1000 in relation to battle royale, people are sure to take notice. 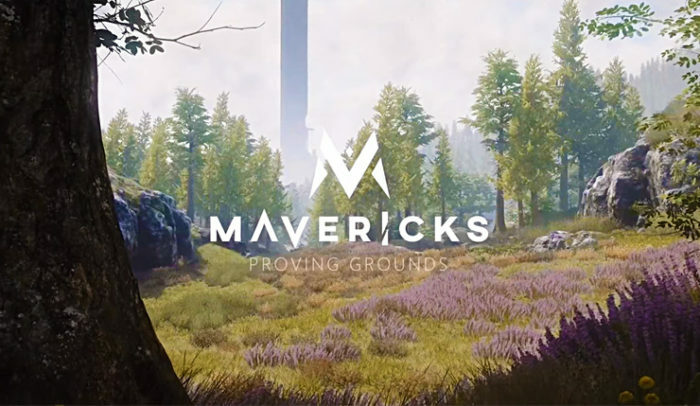 But does Mavericks: Proving Grounds have a point of difference to its gameplay beyond scale? Automaton Games CEO James Thompson: I think if you look at the hype around Battle Royale, that’s a number you can very quickly look at and say, OK, that’s something those games just can’t do because of various limitations in terms of networking and how they architect their game, and they’re already running into performance issues at smaller sever numbers. But I wouldn’t say that is really the core of what we set out to do with Mavericks — it’s just one of those things that is being picked up a lot. It’s true that we can run up to 1000 players, and I think that in the style of Mavericks game mode, more players makes for a very interesting game type. But the biggest difference with Mavericks as opposed to other battle royale games on the market today is the extent to which it is a tactical gameplay experience. It involves a lot more than just a lot of players in a big map. Twinfinite: Would you say the focus of gameplay is more tactical and more of a simulation-style experience than PUBG? Thompson: I would say it’s no more military-sim-like than PUBG, but it’s certainly more tactical because the focus is to use the world and level simulation on a large scale. Other battle royale games have large maps, but their contents are somewhat dumped around as opposed to really thinking about each section; thinking that this is a large map but it needs to be made out of elements that you would expect from a tactical shooting game (on a smaller scale). Also, because of the architecture that we use, we’re able to have some destructibility and fidelity of a small shooter like Rainbow Six Siege but in a massive map. We’re able to leave trails between players to allow tracking. There’s a lot more information available to the player in Mavericks and that’s what makes it a different game: you can tactically work out what’s going on in this big scale map and be really smart about what information you see around you, whereas in a standard battle royale games, you’re mostly just waiting to come across a player. It’s the combination of a number of different systems: tracking, destruction, dynamic weather, wildlife, vehicles. These things work together in the sense that if they’re leaving information in the world. It creates a different kind of gameplay experience because you can make more considered decisions about where you should travel on the map. It’s all about focusing on this being more than players shooting at each other as an experience. It’s everything that comes out of there being a lot of players pushed together doing what they need to survive. In Mavericks, it’s a combination of a large number of systems coming together that we’re only able to pull off because of a new technical approach to how these games are made. You can definitely cite the big player numbers, and they do add, but Mavericks is about more than just dialing up the traditional battle royale experience. Twinfinite: Can you give some examples of destruction in the environment? What are the sorts of signals players can expect to have to manage and make decisions on? James Thompson: Mavericks is designed with a number of layered systems that are designed to be very intuitive. You saw in the nature reserve, which is the area we demoed a couple of weeks ago: the bending grass, the footprints you leave in muddy areas, the trees that you can damage to various extents according to different resources at your disposal, and things like gas canisters that you can blow up. Those are the natural elements of destruction, but then when you venture inside a building you’ve got something that resembles a Rainbow Six Siege: layered buildings where you can break down the walls and floors. So it’s not about creating this fully customizable Minecraft-like world, it’s about making something that is realistic but much more responsive than something you’d expect from other battle royale games. Twinfinite: And what sort of map size are we actually talking about here? James Thompson: The final map is 16×16 square kilometer, in terms of the playable area for a battle royale match. As far as we’re aware, it’s the largest of any game in the genre. But we’re not just focused on its actual size, but more on filling it out and playing through pockets of the map where we can test gameplay and tactics. However, if you look to later in the year when we’re going to release the full beta, the scale of the entire proving grounds – which actually has a persistent social space in the center – is 150 square kilometers. Twinfinite: What is the maximum amount of players that you’ve tested in a single match, so far? Have you stress-tested it with anywhere near 1000? James Thompson: At this stage of development in alpha development, we haven’t yet put 1000 players in a single match. But of course, we have tested spawning in thousands of objects and multiple players and done a number of simulations to make sure we’re confident that we’re able to pull it off. That’s a process that will continue through the development and during the beta over the summer. But yes, we have had hundreds and thousands of test players, but if you think about how we go about testing internally, we focus much more on using smaller groups of 30 or 50 people to test and populate a section of the map. The thing about Mavericks’ game mode is that it’s not just about the fact that it supports up to a 1000 players, it’s a scalable game mode. So how we balance it is that you can play with 50, 100 or 400 players. Twinfinite: So there are different game modes? James Thompson: It’s always the same game, but the timing of the map and the area of the map in which it takes place do change. You can play in many different sections of the map. So a standard 100 – 400 player game – which we say as a fairly normal pattern of online play – would be a 25-30 minute session in a pocket of the map. So you wouldn’t use the whole map every time, there’s a lot of variety — one large map but different sections. The map is big enough so that we can scale up to that number, but it doesn’t mean that we use the full map for the session because we need to be flexible about around what is fun and makes the most sense. There could be a situation where you want something different from conventional gameplay, where smaller numbers make sense. It wouldn’t work to have 1000 players attempting professional play, for example. It wouldn’t make sense; you wouldn’t be able to spectate that. So we have one game in the sense that it’s the same mode, but it scales up and down depending on the length of the game and the number of players. Twinfinite: How do squads work in a game of this scale? Have you expanded sizes with everything else? James Thompson: We’re currently testing different options. When we mention that we have a standard 400 player game mode, we’re talking squads of 4. We see it as if you’re playing in a squad, that ratio of how long the game could be and how big the map should be for a certain number of players is different because squads are clumped together. 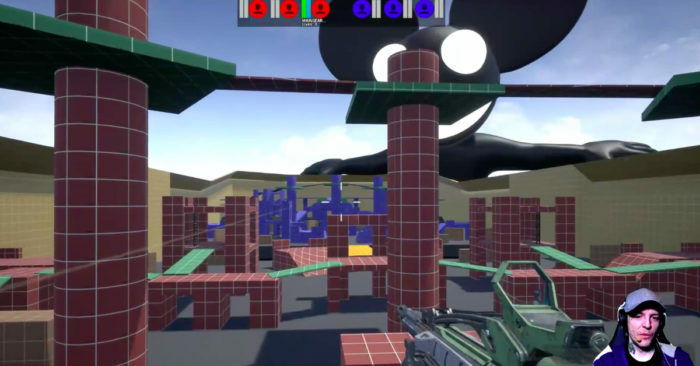 Twinfinite: And does the map squeeze players together over time in a circular fashion the same as something like a PUBG or Fortnite? James Thompson: Yes, it’s still a map that encloses in that same pattern; that’s the basic thing that’s shared. Twinfinite: How do the match time and the shrinking of the circle vary according to match size in Mavericks? James Thompson: Right now we’re testing at half an hour play sessions — that’s a target for us. When we’re choosing what we think is the staple online mode, we want that to be rewarding enough and you win often enough. But that doesn’t mean at an event, when we want to do something really special, we won’t have a lot more players, and that’s where we can do a longer game of a couple hours with 1000 players. So the game length will always change based on what makes the most sense, based on how many players there are. And that’s the same with the way the map shrinks, too. Twinfinite: You mentioned the server difficulties encountered by other battle royale games of a much smaller size, how confident are you that the game can cope with ten times that sort of player count? James Thompson: The difference between our design and theirs is that they use a single server where we use a whole cluster of servers. We’re not limited in the same way. Obviously, there are some limitations. But what’s actually more of a limiting factor to us is considering what sort of game size is fun. We’re taking a very different approach to games that run into issues overburdening a single server with a lot of information, players updating those players’ state etc, whereas we have the sort of networking layers that we can plug in servers from all different parts of the world, and that dynamically grows and shrinks as the game changes. So because of that approach and how we’ve mapped that on the rendering side, – where we started with the Cry Engine, which was the strongest real-time only renderer that allowed us to stream the world in and out efficiently as you move through it – those two approaches effectively removed those limitations to a large extent. You always have to consider density and a few other things, but again, we’re using really strong technology both at the server end and the rendering end. We’re building the game in a very different way and I think people are going to be really surprised that we’re able to pull it off where other games can’t, but I think it just comes down to the fact that we’ve built the game with this in mind. We’ve not taken an off the shelf game and imagined putting 100 players there, then running into limitations. We built from the ground up how this MMO space is computed, and it’s completely different in terms of its approach. Twinfinite: Is there a progression system in the game that will invest players in Mavericks beyond just its gameplay loop? James Thompson: I’d say progression is the biggest shift in terms of other battle royale games. We’re doing something different because the world is persistent. 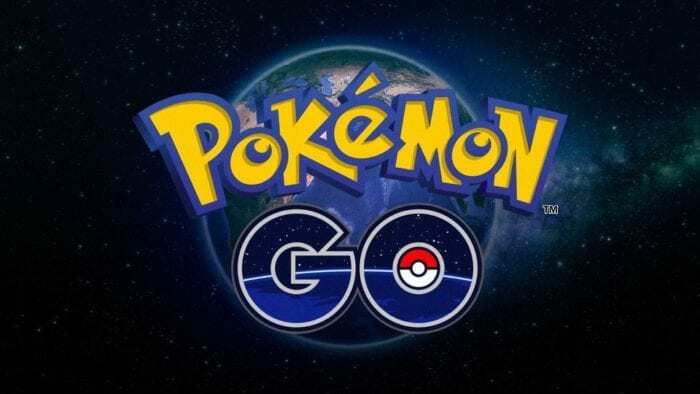 That doesn’t mean you bring your items in with you, but because we have more going on in Mavericks in terms of different styles of play, we can recognize you for those actions and have many more types of interesting progressions systems. But we also recognize that in a persistent social hub you can enjoy a wealth of accumulated items; you can show off and wear different things in that shared space where you can trade with players. There’s an economy off the back of those items that you earn in-game from leveling and achievements. So we have a much broader range of achievements similar to an MMORPG that you don’t see in other battle royale games. Twinfinite: How do weapons and items materialize within matches? Are they found on the ground as floor loot, only, or can certain things be spawned to the world according to your stockpiles outside of matches? James Thompson: You don’t bring anything into a session game with you because each match is designed to be a competitive play session. So in the social hub, you earn the guns you have outside of session play that you will have in the social space more permanently. You can then go out into the open world and risk it if you want, which is a secondary aspect of the game. But the main reason we have that is to create a community, to create an understanding that you can show off your progress. Within the actual session-based gameplay, you have traditional floor loot that you would have in any other battle royale game. The difference with air drops and other similar systems here is that we have a more fully fleshed out objective system. We’re trying to turn down the RNG element of the game because we feel like there’s enough of that innately in the game already to keep it interesting every time. So we want it to be that we draw players toward objectives and different items, so we reduce those variables. We’re going to talk a bit more about that at E3 and the demo we’re doing there. It really shifts the game when you’re able to think about what other players are likely to be doing because you have more information about where they’re likely to be going as a result of those assigned objectives within the game. Anything from a simple airdrop to something that activates on the map, because there’s information about who is going to go there, there are opportunities for aggressive play that is going to pay off. And even if you’re playing passively, you still have more information about what people are likely to have and where they’re likely to go, and that huge increase in information to us is what is different in Mavericks. It changes how you’re thinking when you’re playing the game and makes it a different experience, even though there’s still the staple of a shrinking map and one person coming out. What you’re actually thinking of is more than just that you’re going to randomly go out and shoot; there’s more to think about before you actually go out and engage in combat – the fact that you know more as a result of a trail left or information on objectives, a parachute left on the field, or a body on the ground – you can just tell a lot more as you move through the world, so that creates a different meta for the game entirely. Twinfinite: Lastly, what is the release structure for the game and platforms we can expect it to release on? James Thompson: The closed beta starting shortly after E3, where we’ll be doing a presentation of that. We’re going to be showing what we’re doing with a trailer and explaining the gameplay to the public. There’s also going to be a behind doors session at E3 for the media too. Registration for the closed beta is available now, and we’ve already had a lot of people sign up for that — a couple hundred thousand people have signed up, so we’re very surprised by the initial interest, even though we shouldn’t be because the genre is so popular right now. But we really do encourage more people to sign up. We’ll be sending out more information out just before the big launches gathering, so people can really assist with that process and make sure that in the early parts of the beta we’re hitting all the various system specifications requirements we have. We’re surprisingly aggressive on that, we can do a lot more than people expect on low-end hardware. It is still a high-end game but we’re targeting consoles as well. We can’t give a timeframe for a console release yet because of the various processes involved in implementing new technology on consoles but we’re looking to do that as soon as possible — hopefully next year. Twinfinite: Are you confident Mavericks would run on PS4 and Xbox One? James Thompson: Yes, that’s what we’re looking at. If you look at the PC specs, they aren’t any different than other battle royale games. In saying that, our fidelity is higher. All of that stuff we’ll test throughout the beta, but the key focus is we’re taking the balancing and tactical play very seriously. Everything we’ve done so far has been artificial, and in a multiplayer game, the only way that testing can be achieved properly is through testing with larger volumes of players and seeing how that meta evolves. This is why the closed beta is quite long, as it enables us to understand through all the analytical software we do what is actually happening in the game. Again, that’s another big part to how our approach is very different; we look at reacting to what players are doing rather than what we think players are doing, so we have an extended closed beta throughout the summer and then a full launch at the end of this year.